The reception area of the castle has a low table with small chairs for our youngest visitors. 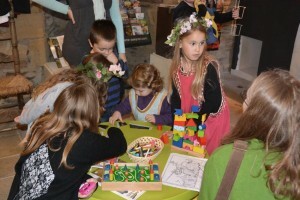 They will find games, images to colour in and even a model of a castle to play with. They can let their imaginations run riot ! Take part in our game and become a princess or a knight! 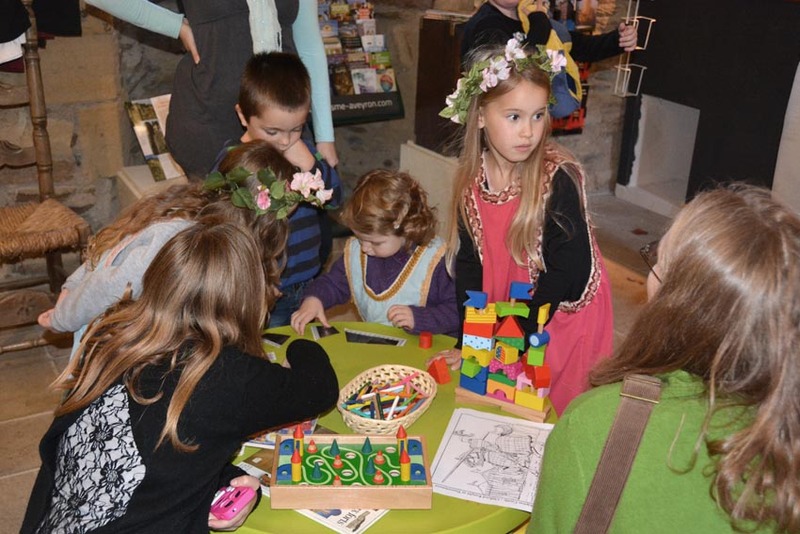 Children can take part in a game during their visit of the castle. Using small panels in each room that describe different aspects of life in the middle ages, the children must complete a quiz in order to become a princess or a knight of Coupiac castle. They will receive a certificate written in calligraphy and bearing their first name as well as some sweetmeats. 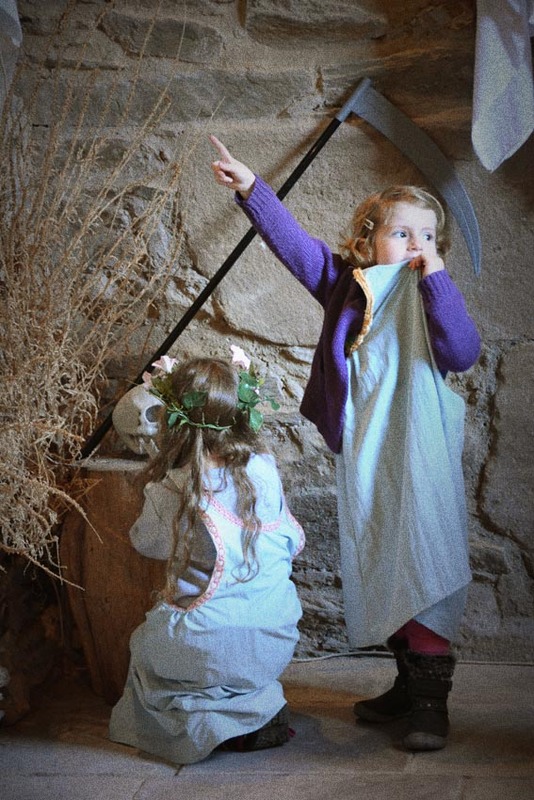 Child-sized costumes, hand-sewn by members of the association that runs the castle, are available for those who want to dress up like a character from the middle ages (limited number of costumes available).